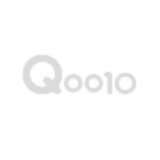 Qoo10.sg - SG No.1 Shopping Destination. More Hurom H-AA Slow Juicer Ferrari Red (HAA-2600FR) | 10 Years Warranty! More Hurom Slow Juicer HAI-3400 Vivid Red (HAI-RBG20) | 10 Years Warranty! | Free Shipping! More [HUROM OFFICIAL]HUROM PREMIUM 7 INCH CRRAMIC KNIFE! QPRIME SHIPPING! More Hurom H-AA Slow Juicer White (HAA-2600WH) | 10 Years Warranty! More Hurom H-AA Slow Juicer Black Gold (HAA-2600BG) | 10 Years Warranty! | Free Shipping! More Hurom Slow Juicer 2500 (HZ Premium Series) Stainless Steel | 10 Years Warranty! | Free Shipping! More Hurom Slow Juicer Easy Series H100 (H-100-EBGA01) Deep Wine | 10 Years Warranty! | Free Shipping! More Hurom Slow Juicer Easy Series H100 (H-100-BBGA01) Black Pearl | 10 Years Warranty! | Free Shipping! More Hurom Slow Juicer HAI-3400 Midnight Blue (HAI-UBG20) | 10 Years Warranty! | Free Shipping! More Hurom Slow Juicer HAI-3400 Rose Gold (HAI-LBG20) | 10 Years Warranty! | Free Shipping!